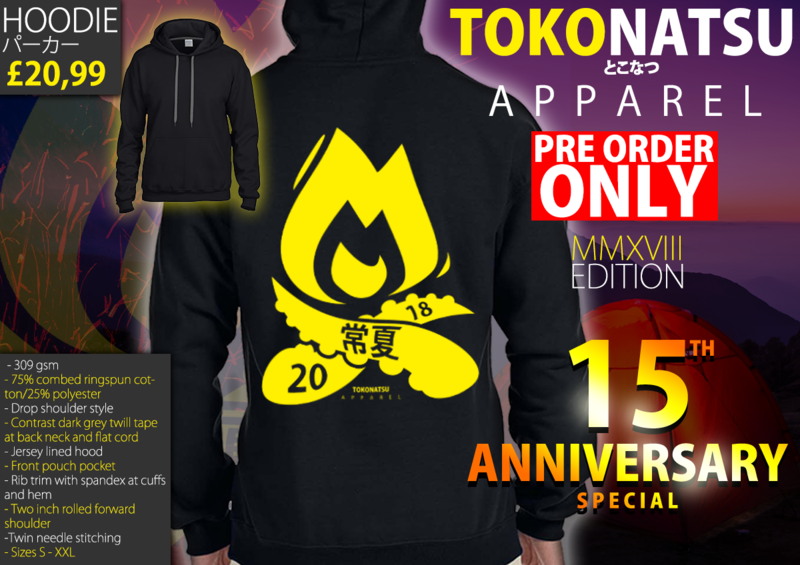 Exclusive to attendees of Tokonatsu 2018, these high quality t-shirts and hoodies are being produced on a pre-order basis ONLY. You are able to order multiples, and you will be able to collect these items from the campsite (we do not deliver, collection only). Please note that the deadline for pre-orders is Friday, 6th July 2018. This is to allow time for printing and organisation of the t-shirts prior to the event. Any queries, please contact us. 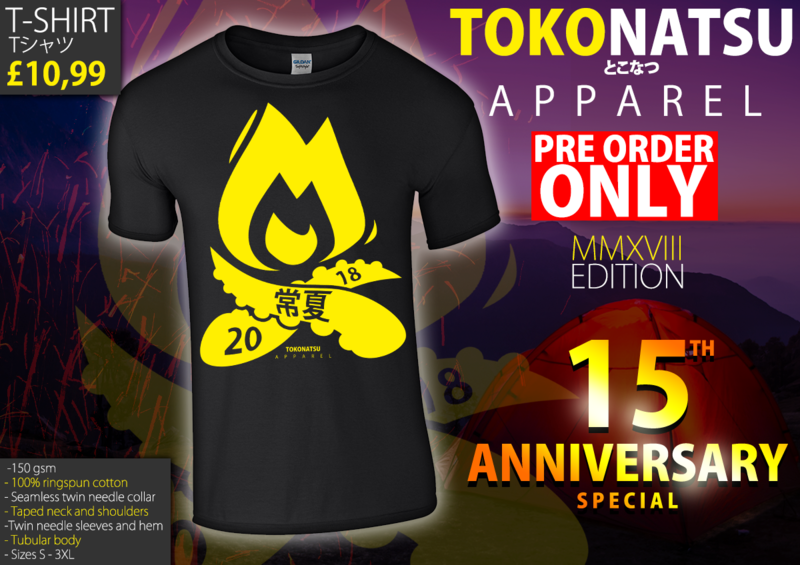 Click here to pre-order T-shirts.